ION Geophysical Corporation and the Puntland Petroleum Minerals Agency (PPMA) announced that the PPMA has awarded ION a contract to acquire 8,000 kilometers of seismic data covering the entire Somalia Puntland offshore margin. The regional 2D multi-client survey, known as PuntlandSPANTM, is being conducted to support a future license round initiative and to assist the E&P industry in gaining a better understanding of the architecture of the sedimentary basin and the hydrocarbon potential of this unexplored offshore margin. Data acquisition is expected to begin in fourth quarter 2015. In addition, the PPMA today announced the demarcation of its offshore territory into 25 exploration blocks covering 180,000 square kilometers of the Somalia Puntland seaboard. In total, there are seven Blocks in the Gulf of Aden and 18 Blocks in the Indian Ocean that have been defined. 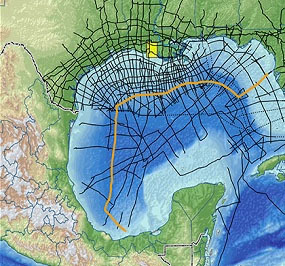 Block sizes range from 5,000 square kilometers in the inshore area to 25,000 square kilometers in the deeper water.